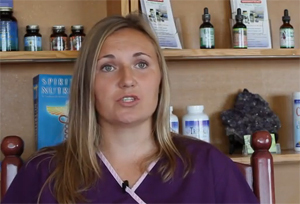 Regular Colon Cleansing Can Change Your Life! Shop Our Online StoreVISIT OUR ONLINE STORE for a broad array of high-quality colon cleansing and enema equipment, nutritional supplements, and detoxification products, as well as supporting educational articles on home colon cleansing, constipation, and much more! Sorry, no results found on this keyword. Lupus, autoimmune diseases, psoriasis, rheumatoid arthritis, cancer, constipation, poor digestion, poor liver health, health problems from taking pharmaceuticals, multiple sclerosis, bacterial infections, muscle problems. This fantastic web series trailer, detailing how the beginning of healing is to clean the colon, features people who have used colon cleansing to heal from this list of symptoms and more. You will see a 4-foot tapeworm! You will see a colon hydrotherapy session! I am thrilled to find a video showing how many health situations are helped by simply putting water into the colon; showing how colon cleansing is a better choice than using GoLYTELY; showing how life changing regular colon cleansing can be. And, with the resources of the Optimal Health Network, you can now give yourself colon hydrotherapy in your own home. Even though I do not know the people in the video, I feel as if I do because over the years I have worked with thousands of people, all over the world, who have similar stories to share. Colon cleansing works and, as the video points out, often has fewer risks than many of the other forms of therapy available for health problems. DISCLAIMER: This blog and any linked material are presented for informational purposes only and are not a substitute for medical advice, diagnosis, or prescribing from a licensed healthcare professional. Nothing contained in or accessible from this blog should be considered a medical diagnosis, promise of benefits, claim of cure, legal warranty, or guarantee of results to be achieved. When you purchase any product from Optimal Health Network, Inc., we must presume that it is for personal use under the direct supervision of your medical doctor. Never disregard medical advice or delay in seeking it because of something you have read on this blog or in any linked material. Consult with a licensed healthcare professional before altering or discontinuing any current medications, treatment, or care, or starting any diet, exercise, cleansing, or supplementation program, or if you have or suspect you might have a health condition that requires medical attention. The United States Food and Drug Administration has not evaluated any statement, claim, or representation made on this blog.